Seems like summer in England is as much of a myth as Santa, the fact is the season is finally here and what better to talk about than new face products targeted to glorious sunny days? I love natural looking skin during the warmer months so tinted moisturisers are my go to products. And with the sun shinning upon us a bit more often than usual, SPF is a must. 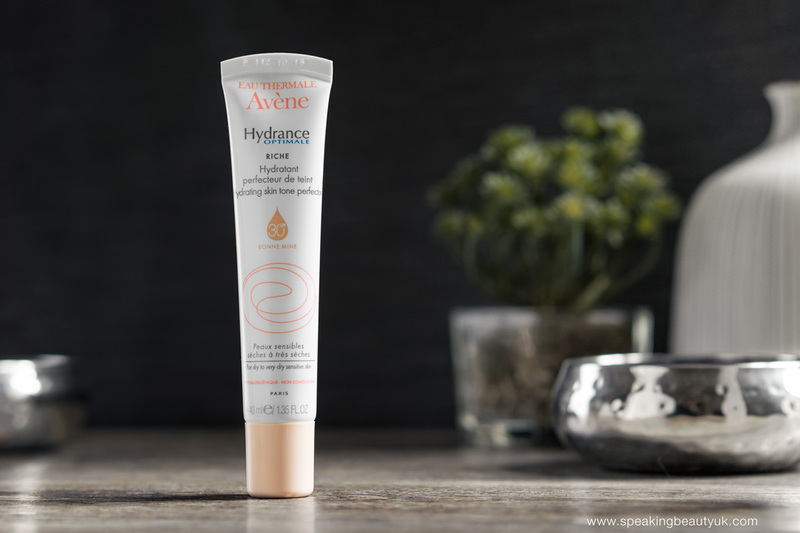 These are just some of many reasons why I've been really enjoying the new Avene Hydrance Optimale*. This hydrating skin tone perfector is a nourishing moisturiser for dry to very dry skin. It uses transparent mineral pigments to unify the skin, as well as coloured pigments that adapt to our skin and provide radiance. It's also supposed to help blur imperfections and fine lines.